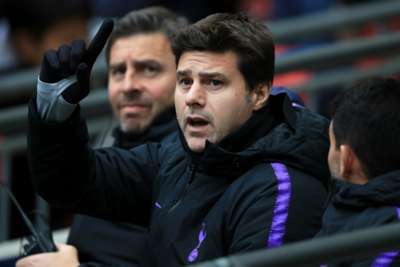 Mauricio Pochettino has reached 100 wins in the Premier League as manager of Tottenham in fewer games than it took Arsenal boss Arsene Wenger. Spurs looked set to be held to a goalless draw by Burnley at Wembley on Saturday before Christian Eriksen struck in second-half injury time. The 1-0 victory means Pochettino has reached a century of wins in England's top flight in only 169 matches in charge of Spurs. Including his time at Southampton, his 100th victory in the competition came in March, when Spurs beat Huddersfield Town 2-0. Wenger, interestingly, needed 179 matches to get to 100 victories while manager of the Gunners. The manager who reached the milestone fastest is Jose Mourinho, who needed only 142 games, with Alex Ferguson second on 162. Wenger is next on the list, ahead of Rafa Benitez (181) and Claudio Ranieri (187). Pep Guardiola is on track to break the record with Manchester City, though, having won 69 of his 93 matches in the division.